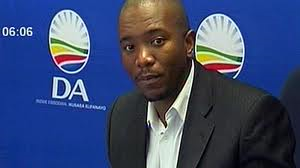 Note to Editors: The following speech was delivered by the DA Leader, Mmusi Maimane MP, during a National Assembly debate to mark International Nelson Mandela Day. This was an ideal for which he was prepared to die. But the South Africa of today is not the South Africa Madiba dreamt of; the ANC of today is not his ANC. Madiba set an example for all South Africans through his selfless dedication to building an inclusive nation. The divisive system of Apartheid denied millions of black South Africans access to economic opportunities, and left us with a legacy of racial inequality. More than that, it denied South Africans their dignity and humanity. But in 1994, we took a bold step as a nation to embrace Madiba’s dream for “a rainbow nation at peace with itself and the world,” and build an inclusive, non-racial South Africa. As we celebrate Madiba’s legacy today, we must acknowledge that this dream has not been completed. No one can deny that we have come a long way as a nation over the past 21 years, but the successes we have achieved must be measured against the benchmark of Madiba’s vision for our country. While Madiba’s dream was given power in the preamble of our Constitution through a commitment to “improving the quality of life of all citizens and freeing the potential of each person,”President Zuma’s government has not honoured that commitment. Today our society is characterised by corruption, and the benefit of some at the expense of many. Empowerment programmes aimed at economic inclusivity have only resulted in the enrichment of those who are politically connected, while leaving the vast majority of poor South Africans without the opportunity to pursue a life they value. While a bloated cabinet costs us almost half a billion Rand a year, schools like Megatong Primary School in Soweto do not have basic sanitation. Children at Megatong are expected to learn in the most deplorable conditions, denying them their basic right to a good quality education. Madiba once said that “We are not yet free…We have merely achieved the freedom to be free”. He understood that building a strong economy is a basic requirement for building an inclusive South Africa. He understood that our people need freedom they can use. Unemployment and racial inequality continue to divide us as a nation, and threaten to prevent us from fulfilling Madiba’s dream. An equitable, prosperous society can only be made possible by economic growth that creates millions of jobs and opportunities for South Africans that are left out. But instead we face an economic crisis that sees 1 in 3 South Africans left without work. These people are not only being denied the chance to earn a living, but are being denied the chance to pursue their dreams and a life they value. No one has been more affected by this crisis than the youth – 2 in every 3 of those who are unemployed are young people. And 70% of those young people are black South Africans. Economic growth over the past 5 years has averaged out at less than 2%, far below the level required to bring about meaningful change to the economic structure of our society. Despite the progress we have made, those who are referred to as “born free” remain chained to the legacy of the past. This is due to inconsistent policies, poor economic infrastructure, and rent seeking behaviour on the part of those who are connected to the elite. The truth is that President Zuma’s ANC is not the ANC of Nelson Mandela. Madiba had an unwavering respect for the Constitution and the Rule of Law, and set an example to all South Africans to honour its founding principles. He fought for a society in which everyone is equal before the law. When President Mandela was taken to court in 1998, he deferred to the court’s subpoena out of respect for the administration of justice and the rule of law. The ANC of today have long forgotten this example, and undermine the supreme law of our land to suit their narrow interests of self-enrichment. President Zuma has shown disregard for our courts and ignored institutions such as the Public Protector, using the power of his office to protect himself from accountability. Tata Madiba said that human rights should be the light that guides our foreign policy. Yet Zuma’s executive was complicit in allowing Sudanese President Omar Al-Bashir, a wanted war criminal, to escape South Africa in violation of both international and domestic law, and a direct High Court order. But instead of defending the Constitution, Luthuli House and its allies criticised the judiciary for their “overreach” in making “judgements that are against the state”. President Zuma may have given up on the Constitution, but we have not. We will soon be debating a motion to remove President Zuma from office for his failure to uphold the law of this land as is his duty as the President of the Republic. In May this year the Democratic Alliance adopted our new Values Charter, underpinned by our belief in Freedom, Fairness and Opportunity. These values guide our vision for South Africa, the foundation of which is the belief that freedom without the opportunity to pursue a life one values is not freedom at all. In order to build an inclusive society we must break down the correlation between race and wealth that was the product of Apartheid. To use the words of Robert Sobukwe, there should only be one race, the human race. That is the dream Madiba had for the South African nation. In order to build a truly inclusive society, we must ensure that a child born in Soweto is not faced with greater challenges to success than a child born in Sandton. This is the vision that the DA has for South Africa. It is a vision for a country where a competent state, free from corruption, will empower all South Africans with the opportunities to live a life they value. And it is fundamentally a vision for a society where reward is aligned to effort; where all South Africans who work hard and play by the rules will be able to achieve their goals. Honourable Members, we can get South Africa working. We can stop the rot of the economy that has occurred under President Zuma and break the trend of rising unemployment. We can get our youth working by equipping them with the skills needed to find a job though an effective education system. This requires competent teachers and principals that are not dictated to by unions. And we can incentivise their employment through a real youth wage subsidy. We can get our energy sector working by opening the market to private power producers instead of investing money we do not have in a R1 trillion nuclear deal we do not need. South Africa has a wealth of potential waiting to be unlocked, but it is being held back by a corrupt government that favours the enrichment of a select few over the empowerment of millions of entrepreneurs. Entrepreneurs that can create job opportunities. We can get South Africans working for themselves by cutting the red tape that holds back the owners of small and micro enterprises from becoming an engine of economic growth and job creation. By empowering small and micro enterprises we can make real gains toward halving unemployment. Our challenge is now to give power to this political emancipation by achieving our social and economic emancipation. South Africans share a desire for a brighter future. It is this desire that motivates the millions of parents who travel hours to work to give their children opportunities that they were denied. And it is this desire that motivates the millions of children who walk tens of kilometres to school to get an education that will empower them to find a job and support their own families one day. I believe in the spirit of the South African people. I believe that Madiba’s dream of a rainbow nation is alive and well, and I believe that South Africans are willing to work to see that it is achieved. More than anything, Madiba believed in democracy. In order to achieve his dream we must honour that basic principle and elect a government that cares about the people more than it cares about itself. We must elect a government that can restore the supremacy of our Constitution and realise the potential of our economy. Tata Madiba was a member of the right, but lives on in members on the left.